I'm getting my new quiver finally....6/9/12. I'm going for North Neo for 6 & 9, and skipping the 12 for Neo as I've heard many saying the big Neo is pretty slow. What options do you recommend for a fast 12 wave-dedicated kite for models year 2016 or 2017? The 7 was my favorite last year but since I got this year's 12, no contest. For Me very happy with my 12 Reo one of are kiters went Neos 7m and 9m and used his click bar on his 12 Reo. The big kite question is always a tough one. It's to be used in low wind speed so it's always going to have slower response. I've got a 13m which just sits in the garage because it's boring to use, my 10m Reo gets me by in 15knot. But I am always thinking about a new big kite. 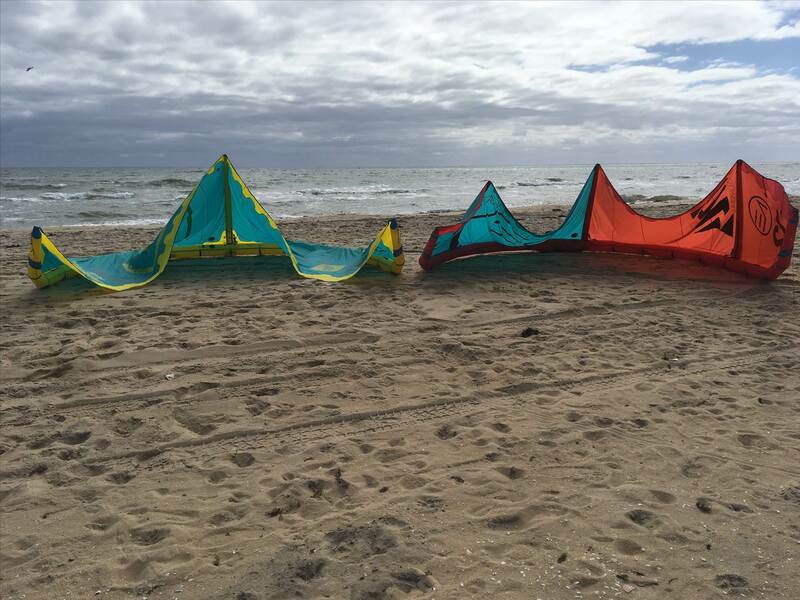 There is good reason to keep all 3 kites the same brand. The word is the 12 Neo is slow(but that comes with more power) If you go 6, 9 Neo, 12 Reo you'll have a reduced spacing between your large sizes. Might be better to go 6,8 Neo and 12 Reo. I've not tried (demo if about) a 10m naish trip and/or liquid force solo, blurb rates these as ideal for the 12m+ kite range. light weight etc etc. Like you my bread'n'butter kites 6 and 9m ar waves. That sometime east coast seabreeze tease @ 10-15knts almost but not quite 9m these no strut or single strut kites could be good. I've got a 2015 12m Ozone Reo and love it, feels pretty quick for a 12m and drifts well. Same here. 2015 12m Reo. Does not get much faster and lighter than that. 12, favourite kite since like 2013. No east coast surfboard user should be without one. I'd move from WA to east coast just so I could use one more regularly. Gone to dark side said..
That's an interesting quiver indeed .... so your Reo 12 works perfectly well with a North Click bar ? The Click bar has been designed to work with any front line safety kite so yes it will work fine. We have used it with Ozone and Naish Kites here with no issues. 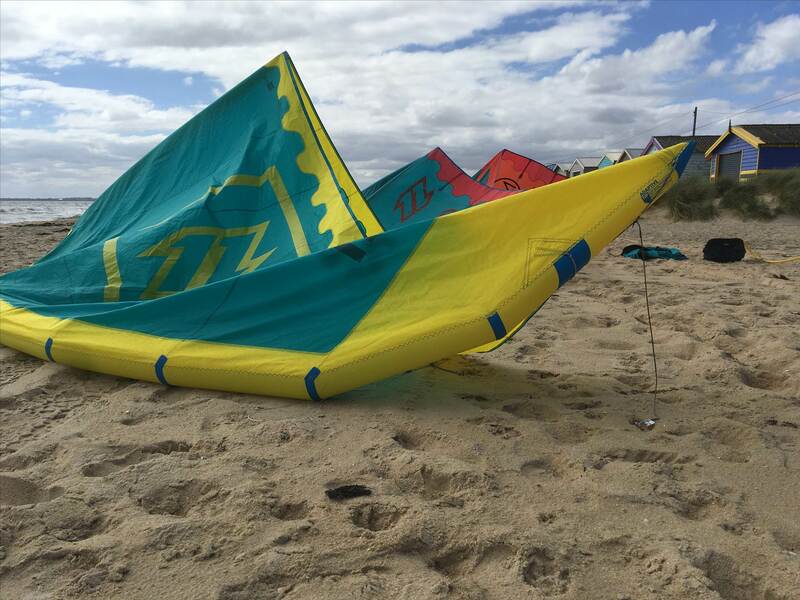 The only thing that may affect some kites is the bar length when some brands are tuned for a shorter bar on the smaller sizes. I think the lines might not match up as the outside lines on the bar side have a larks head knot. I can use my core kite with an Ozone kite but I just have to put a know on the outside line, should be an easy fix if you need to. I have an 11m 2017 Griffin AX and there is nothing slow about it. I have to keep checking that I put up the right kite its that fast, its replaced my 10m as its got a big wind range and no need for a 12m. I have used the sollo and, it's slow, super slow. Clouds are no different why do you think C-kite still have 5 struts? Struts add rigidity and reduce slacks and give in the kite, this equals faster response. 3 struts is a compromise, it sheds weight which aids drift. As to the north bar, this has the same pigtail configuration as the OR bar. Ie pigtails on rear larks head on front lines so they fly with the prodigy straight out of the bag. This is the best 12 I have flown and is faster than the neo in the 15 to 18 kts range by a long shot. The canopy and Dacron have been updated to stiffer materials, it's simply awesome to fly. 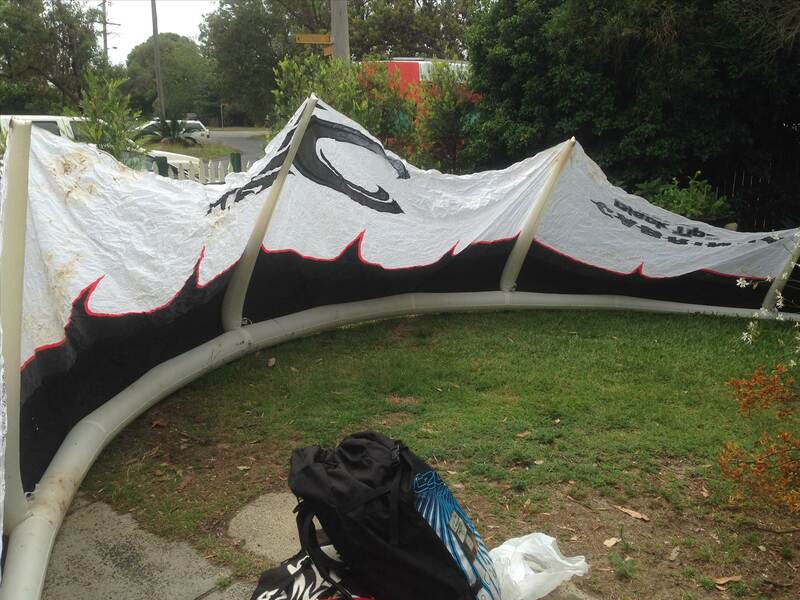 Can anyone comment on the performance of the 12m north mono as a light wind wave kite? 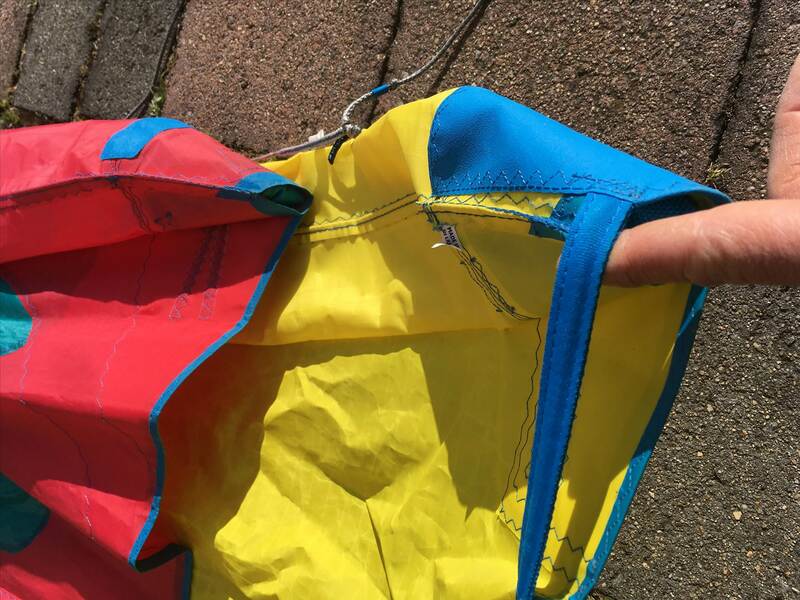 I know pattie your saying your experience with strutless/ 1 strut kites has not been great but what about the North mono specifically? It is built around the North Neo so I had been musing that perhaps the 12m mono vs 12m Neo- the mono might be lighter, more agile/quicker and have awesome drift. Can anyone comment on my speculation?? Also talking of North bars to other kites, what about using a low y split bar on a smaller Neo, I had been thinking of picking up a 6 or 7m Neo as my smallest kite, I currently have a Naish bar and just being able to get kite only on a neo would obviously be more economical. Is the high y split on the Neo a killer ? Or can I just whack it on my bar and away we go!! I have a 12m Mono. I got it in anticipation of me learning to foil on " jaws", that's my name for the foil after it shredded my wetsuit. But I primarily ride surfboard unstrapped, and my Core XR3 12m drifts only Ok, and looking for better drift and lower end. Only been out two times. 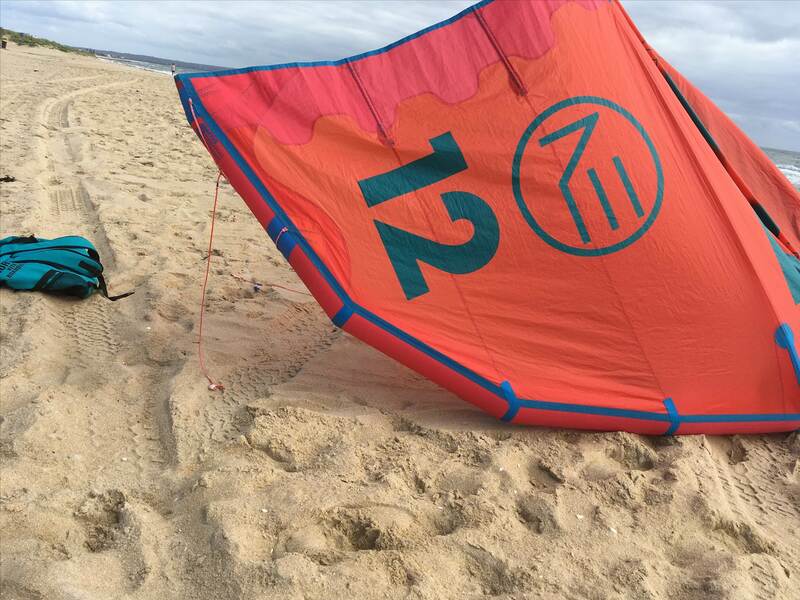 First time started in very very light wind, and it was so light I could barely get kite up, and then died totally , but while it was up, I flew it around on beach and it's very powerful for a 12. Probably better low end than even the xr3 12m, which has fairly good low-end. Then the wind increased steadily over an hour session from marginal to over powered at 20 knots ( I think) . It works at range stated, 11-20 knots. 20 knots you are sheeting out and kite canopy flutters, but still totally steerable and under control, LE is NOT pulsing and jellyfishing. It has same bar pressure as Core XR3 12m, light, turns considerably faster and with less delay than Core. power delivery along bar stroke is even and rather long like Core, which I prefer. Pumped up the Mono 7 and wind increases in variability going from 8 knots to 25 knot gusts. At times under powered and others powered. Still worked good. Both 12 and 7 High end is pretty poor, it's not uncontrollable, more noticeable on 12 due to winds we have, kite flutters and stays a bit back in window when luffed. On other hand lower end is way better than more high wind kite like the Rally 8)( 2012) i have. Less demanding to fly. Trade-offs. Too early for me to say, but my guess is that the Mono will be like a 14 m kite and get you going in 10 knots( solid 10 knots, meaning 10-14 here) and be good for surfboard. The Slingshot Wave SST comes in 12m, super light bar pressure, it tracks magically downwind, turns on a dime and maintains a responsive feel even when fully sheeted out. Tom, sounds like a big surfboard you have or is it the denser wind of your cold location? Over here we are on 17 and 14s in 10 - 14kts. Back to the solo, as a surf kite you have to consider relaunch and solos don't have that in waves. even in flat water they take their own sweet time. I had the V1 solo 12m and whilst its good enough as a kite it is not a good wave kite. Its also way slower than a same age Neo 12m. I currently have the 12m mono and its so much nicer to ride (for me) than the solo. Much easier to control at the top end. I have recently taken a gamble on an Ocean Rodeo Flite. Frankly I'm loving it, but its a freeride, not a wave kite. They do have a good wave kite in their range - the Roam. Ocean Rodeo kites fly well on a North bar (use the included 2 inch pigtails on the rear lines) so you can use the same bar as your Neos. The bar pressure is lower than North kites, but the feedback is still there. Well worth a demo if you have the chance. Sorry but this is just wrong. Kites with less struts have faster steering. More flexibility in the kite allows the kite to twist more with less resistance from the frame. However this is only one factor, as kite shape and aspect can also change turning speed. From my experience when looking for a 12m wave kite, I must agree with pattiecannon that a fast 3 strutt kite is much quicker than a Solo or Cloud. I found my 12m Cloud (2015 own kite) was also quicker than a 12m Solo (2015 demo kite) but my 12m (2014) AR Wave was noticeably faster than both. From what I have noticed the struts seem to help the kite twist, producing a quicker turning & more responsive kite. I had the solo 12 meter. 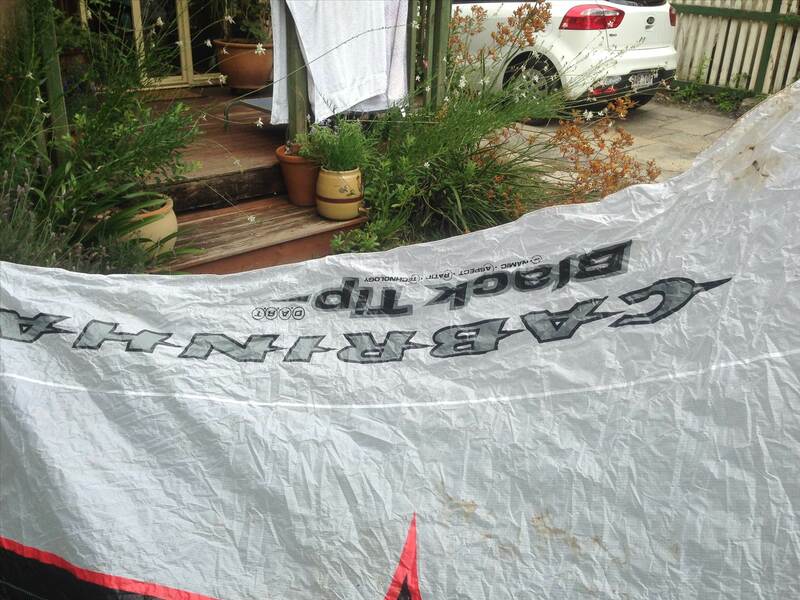 I sold it because 1-to slow 2 - when the canopy is wet with the leading edge so thin it was not quick to relaunch. I liked the kite for the power but I sold it. Also I purchased the 12 meter SST Wave. I am waiting on the delivery. I have demo 2016 and 2017 and I know it has less power than the NEOs . Always demo the kites. The north clicker bar will work on any kite that can flag to a single front line, and this includes the Ozone Reo. My advice is get a 12M Reo (of course), it is not a slow kite and really does perform in low winds in waves.